Finally drafting these stars can be FUN instead of technically stressful. 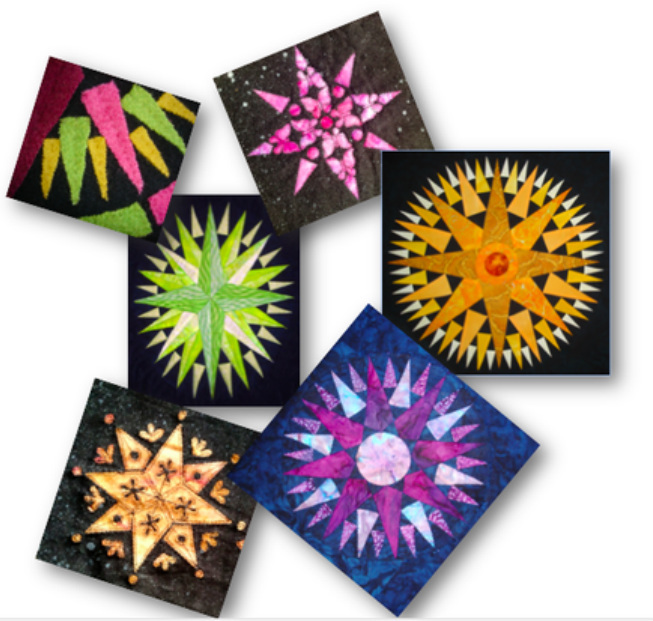 This class includes pattern and template making for any shape star, with plain or split rays, multiple centres and optional methods for setting stars in background. Instructions are covered on paper, machine or hand piecing.